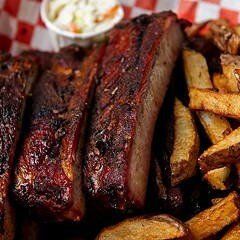 Justifiably famous ribs; some say the best in the city. Cash only. A civic treasure among the citys honest smoke shacks, Lems has long upheld the standard against which all Chicago barbecue should be measured. The rib tips, with a higher ratio of meat to gristle than you'll find at most joints, and the center-cut and small-end slabs are finished relatively fast over a relatively hot fire, bucking slow-smoke convention. 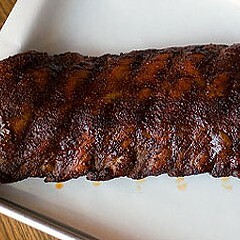 They're deliciously tender and caramelized, limned with the telltale pink smoke ring. The excellence extends to the incomparable, complex sauce and coarsely textured hot links, which are too frequently served as mealy sacks of sawdust elsewhere.